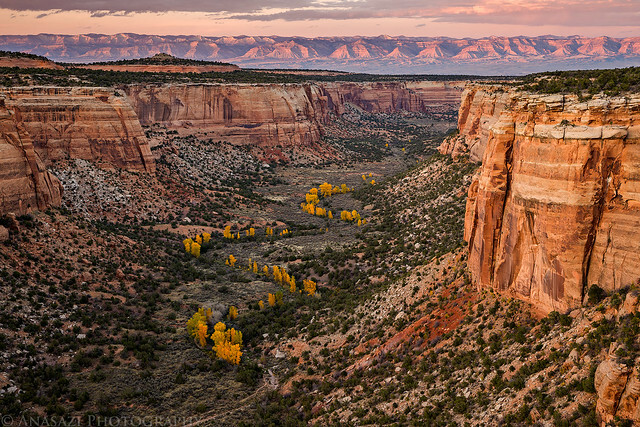 I spent the last two consecutive Wednesdays visiting the Colorado National Monument after work so that I could try to photograph fall colors before it was too late. I’ve had a couple of shots on my mind that I had envisioned and was hoping the conditions would allow me to make them happen this year. 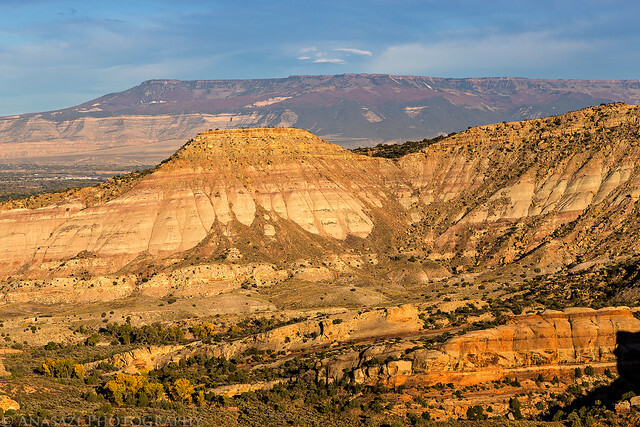 On my first visit to the park last Wednesday the color I was after wasn’t quite there yet so those shots had to wait, but I did take a few photos as I drove through the eastern section of the park to the Ute Canyon overlook and back. 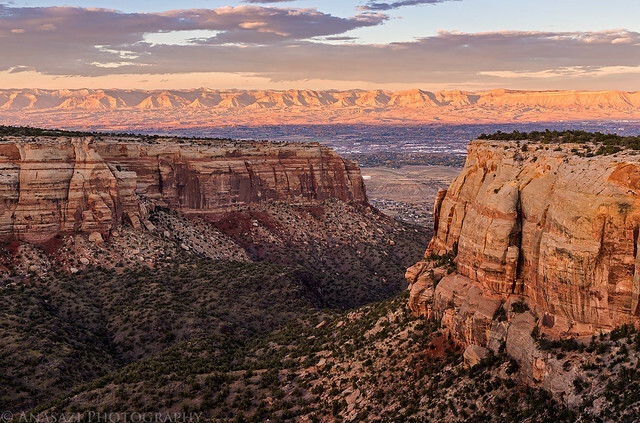 Evening view over Ute Canyon towards the Book Cliffs. The Devil’s Kitchen stands out from the shadows below. 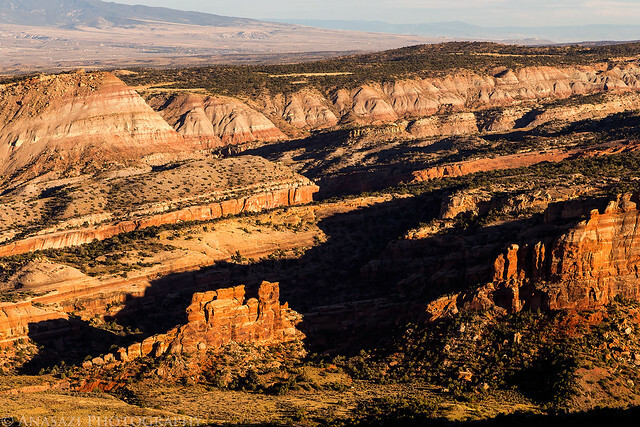 Overlooking No Thoroughfare Canyon towards the Grand Mesa. On my second visit to the park this Wednesday I found the fall color I was after. I actually was almost too late in No Thoroughfare Canyon. I had made it just in time and came back with both images I had envisioned. 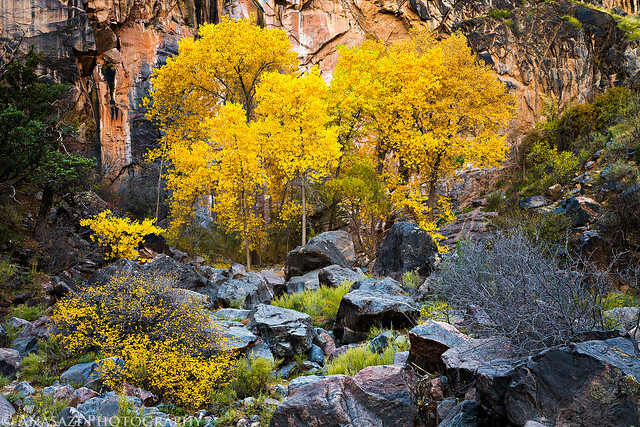 Cottonwood trees in No Thoroughfare Canyon. 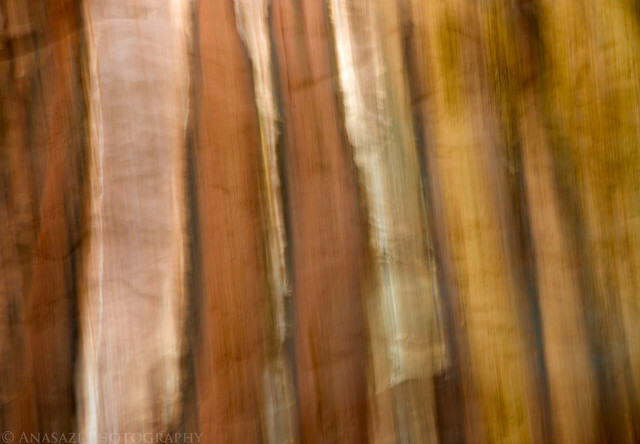 Blurred colors and stripes near the First Waterfall. 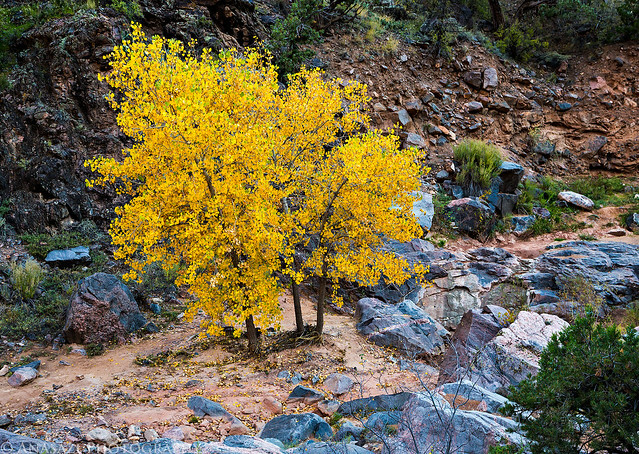 Fall color in No Thoroughfare Canyon. This was one of the images I had in mind for today after photographing these same trees in the spring when they were bright green. 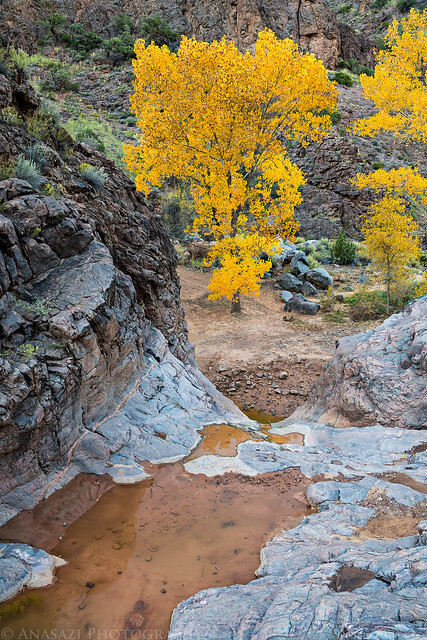 Another golden cottonwood next to the First Pool. 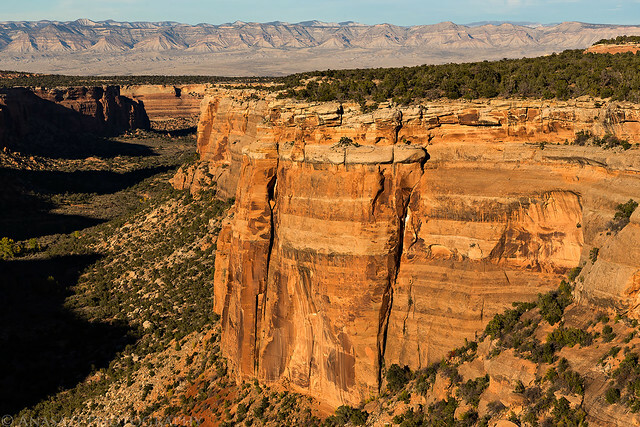 Lower Red Canyon and the Grand Valley. This was the other photo I had in my mind for this evening. A beautiful view down Ute Canyon with the golden cottonwoods lining the wash below and alpenglow on the Book Cliffs in the background. The clouds were an added bonus! 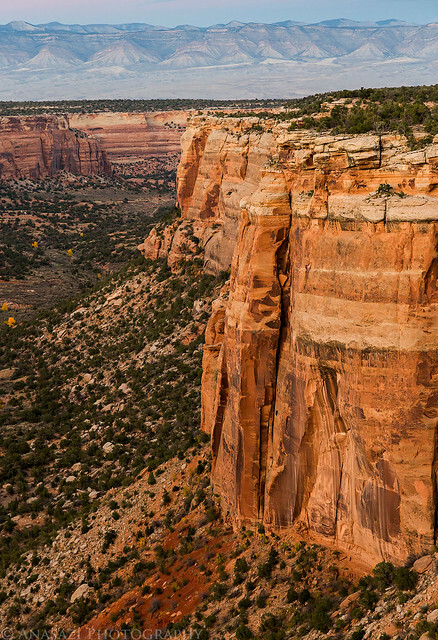 Canyon walls of Ute Canyon.